Why Is There An Elephant In Waterloo Station? M@ Why Is There An Elephant In Waterloo Station? If you've ever paid attention to the Jubilee Line ticket hall at Waterloo tube, you will have noticed a very big elephant in the room. This sculptural pachyderm is made from densely packed wire mesh. Up close, it looks both solid and slightly spectral. Why is it here? What can it mean? 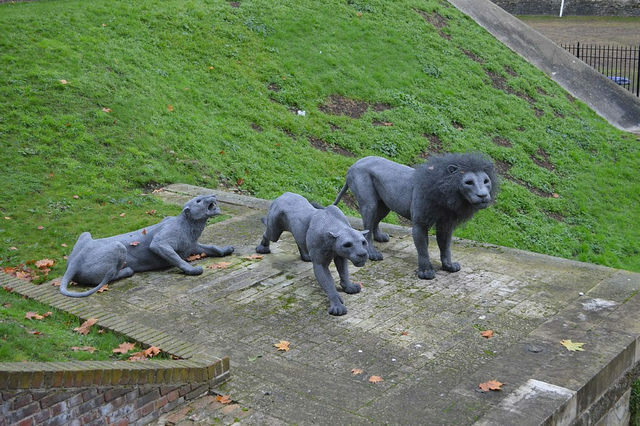 The sculptures recall the famous menagerie that lived at the Tower for hundreds of years until its disbandment in 1832. But what of the Waterloo elephant? The sculpture began its tube journey at Gloucester Road station in the year 2000. 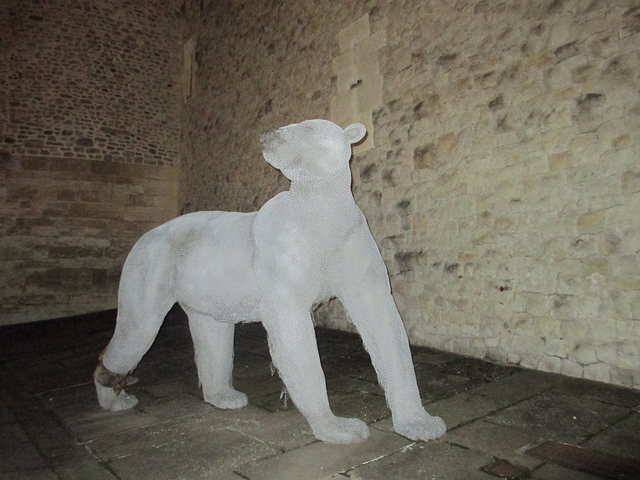 It was one of several animals installed in the station's blind arches as part of the Platform for Art programme (now more prosaically called Art on the Underground). The 'Underground Safari' also included an oryx, vulture, giraffe and a rhinoceros, apparently crafted over six months in the back garden of the artist's parents. 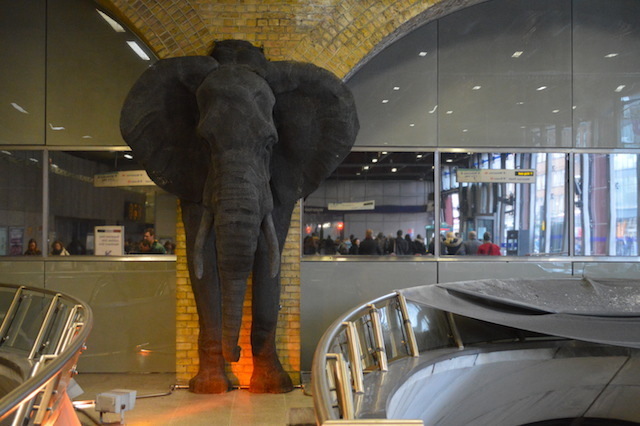 Following the success of that temporary exhibition, London Underground purchased the African elephant and put it on display above the Waterloo escalators to the recently built Jubilee Line extension. Why Waterloo? Partly because it fits the space, an otherwise unused area set apart from the public concourse. But it also has local resonance. The station stands next to the site of Astley's Amphitheatre, often credited as the world's first circus ring. 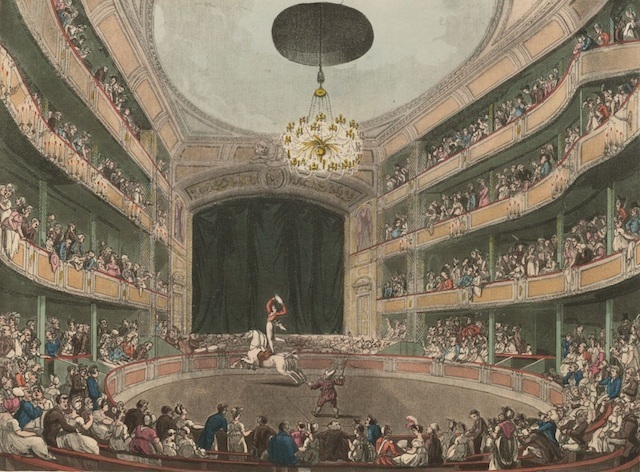 This auditorium could be found at the eastern end of Westminster Bridge (land now occupied by St Thomas's Hospital), and lasted from 1773 to 1893. The circus itself had been under performance since 1768. Astley's Circus. Image, public domain. "The screams of the females were terrific, and a general rush took place towards the doors, and it is almost impossible to describe the confusion that took place. Several ladies were slightly injured by the Elephant's trunk, and one lady was so much hurt, that she was taken to a surgeon's and bled immediately." Today, the incident would have prompted an urgent inquiry, sparked legal proceedings and closed the circus for good. This being 1828, the audience were coaxed back inside and the show went on, with the now docile elephant performing a number of tricks, including 'hand-stands'. The Waterloo sculpture is, then, a fitting reminder of this long-lost attraction. In an additional, perhaps coincidental, resonance, the creature's gaze is set directly towards Elephant and Castle, a 15 minute walk away. It can be considered London's most exotic signpost.